Public Health England is again launching a major integrated smoking cessation campaign ahead of the New Year, led by a hard-hitting film showing the harm smoking does to the body. A TV advert urges England's seven million smokers to try to quit this year with help from the NHS Smokefree services, which include face-to-face help, stop smoking aids, an app, social media and SMS support. The Smokefree website highlights e-cigarettes as a possible option to help people quit, following its landmark first inclusion in PHE's Stoptober campaign in October this year. 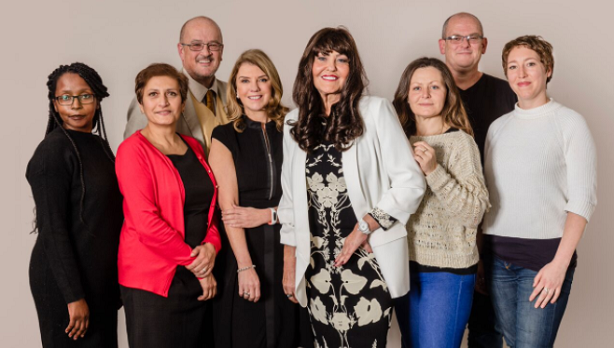 This is supported by video content and case studies in which seven life-long smokers including Hilary Devey (below, with Devey in white jacket), TV presenter and former star of the BBC's Dragon's Den, take part in a laboratory demonstration of how smoking has led to the presence of harmful poisons in their blood. They are talked through the results by Gloucester GP Dawn Harper (to left of Devey). These will be used on social platforms and have been pitched to journalists and media outlets. A total of £1m media has been bought for the campaign across TV, digital, social and search. PR for the campaign is being led by Freuds. Other agencies involved are M&C Saatchi (creative), MEC (media planning), Carat (media buying) and 23Red for commercial partnerships. PHE marketing director Sheila Mitchell said: "January is a key time for people to reflect on their lifestyles and is always an excellent opportunity to communicate our messages." Last year's campaign had enlisted children to help encourage adults to kick the habit. Professor John Newton, director of health improvement at PHE, said: "Smoking is a deadly habit. Each year it kills 79,000 people in England, and for every death, another 20 smokers have a smoking-related disease. That means one person is admitted to hospital every minute of every day due to smoking. "Our new TV ad shows how every cigarette sends a flood of poisonous chemicals through the bloodstream in seconds. People know that tar damages the lungs, but it's less well understood that the poisons also reach the other major organs in the body. We are urging every smoker totake advantage of the free Smokefree support and quit for good this New Year."